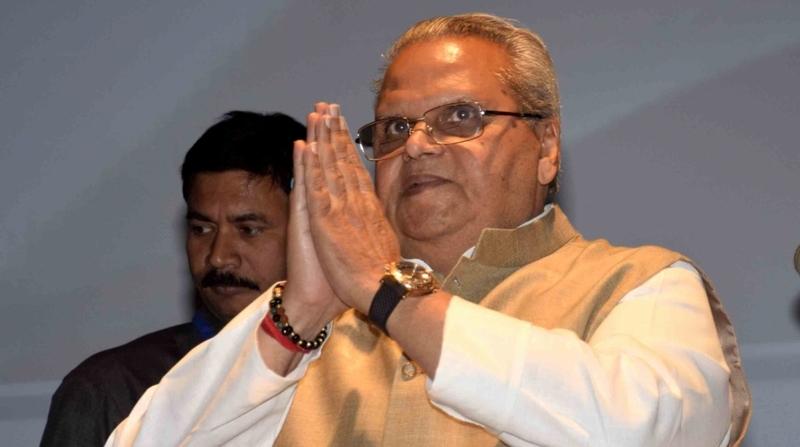 Curbing chronic power theft, highest in the country, and providing electricity connections by March next year to the nearly 2.50 lakh unelectrified households in Jammu and Kashmir has become a headache for new Governor Satya Pal Malik. Many governments have come and gone in the state but none have succeeded in curbing the over 60 per cent transmission and distribution (T&D) loss. The average in the rest of the country is about 20 per cent. During the past few days, Malik has held a series of meetings with top officers to streamline the Power Development Department (PDD) that continues to function although the state government had in 2010 ordered unbundling of the PDD into four companies as was provided in the Central Electricity Act of 2003. J&K is the only state in the country that has so far not operationalised the four companies. Malik’s predecessor, NN Vohra, had also ordered a series of measures to curb T&D losses but the instructions remained only on paper and were never implemented by the bureaucracy and engineers of the PDD. Not only the Governor, but also the Union Power Minister, RK Singh, during review meetings with top officers and power engineers last week in Srinagar, expressed disappointment over the sluggish pace of work by three Central PSUs on augmentation of power transmission and distribution infrastructure in J&K. 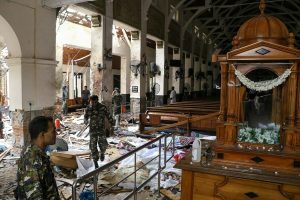 He warned there was absolutely no scope for lackadaisical approach and the work will have to be completed within the set time-frame. There were allegations that officials of the PDD were creating hurdles in smooth implementation of the centrally funded scheme by IRCON to replace the traditional steel electric wires with rubber coated ones and install prepaid meters to curb power theft. As many as 8,92,632 domestic power connections in the state are metered while 6,45,385 are unmetered. Official figures indicate that power theft in Kashmir valley is higher than in Jammu division. Against less supply of 10,778 million units of electricity in Jammu division between April 2015 to November 2016, the PDD realised revenue of Rs1703 crore, whereas against the consumption of 13,304 million units in the Kashmir valley the revenue realisation was Rs.1120 crore. Malik directed the PDD to take maximum benefit from the flagship power sector schemes of the Centre to ensure tangible improvement in electricity supply to the consumers in the state. The Governor asked the PDD to make judicious and timely use of the available funds to ensure augmentation of power generation and upgradation of transmission and distribution network in the state. He ordered round-the-clock electricity supply to at least such areas which are covered under cent per cent metering and where the revenue realisation is above 95 per cent. During the review, the Union minister said festering power crisis has been one of the major areas of concern in J&K and the Central government is ready to walk the extra mile by way of whatever support is needed to end this lingering problem in the state. Concerted efforts should be made to improve revenue realisation and check pilferages through technological interventions including installation of smart meters, he said. The Governor asked Chief Secretary B V R Subrahmanyam to submit a fortnightly update directly to his office on the implementation of Rs 2500 crore work allotted to Power Grid Corporation of India Limited (PGCIL), Rural Electrification Corporation Power Distribution Company Limited (RECPDCL) and REC Transmission Project Company Ltd (RECTPCL) under the Prime Minister’s Development Programme (PMDP), Integrated Power Development Scheme (IPDS), DDUGJY and R-APDRP. Annoyed over the delay in unbundling the PDD, the State Administrative Council (SAC), headed by the Governor which met here on Friday under the chairmanship of Governor, Satya Pal Malik accorded approval for operationalisation of the Jammu and Kashmir State Power Trading Company Limited (Tradeco) and transfer the job to it from the PDD. The state government in 2012 had ordered unbundling of the PDD into four successor companies i.e (i) Jammu & Kashmir State Power Transmission Company Limited (Transco), (ii) Jammu and Kashmir State Power Trading Company Limited (Tradeco), (iii) Jammu Power Distribution Company Limited (Jammu Discom), and (iv) Kashmir Power Distribution Company Limited (Kashmir Discom) but their operationalisation did not take place.